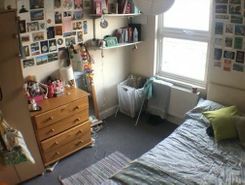 A 4 Bedroom property located within walking distance of Kingston town center and University is an Ideal property for Students.The property has new wooden flooring through out.Comes furnished has a main bathroom and a second shower room on the Ground floor and a separated Lounge. 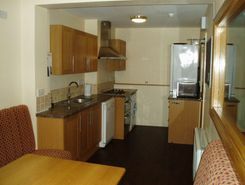 5-10 minutes from Kingston Uni and the town center. 6 light bedrooms with double beds. 2 shower rooms with constant hot water. 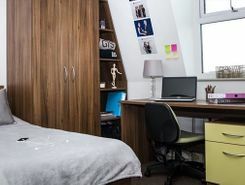 Fitted Oak wardrobes and study desks in every bedroom. Spacious kitchen diner with table and large seating area. 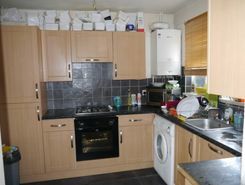 2 fridges and 2 freezers, Washing machine and Tumble dryer. Winkworth Surbiton are happy to present this spacious two double bedroom apartment to the market. 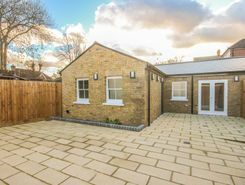 A newly built one bedroom bungalow in the centre of the village accessed via a communal courtyard and with the benefit of its own private large terrace. 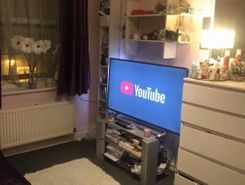 This superb and unique property is available now. Property website TheHouseShop have used their expert knowledge of the Thames-Ditton in Surrey property market to help buyers, sellers, tenants and landlords save money when advertising and searching for property available online. Property website TheHouseShop is unique in the UK property market as it is the only place that accepts listings from homeowners and professionals, so visitors will find properties available for sale and to rent from traditional estate agents, online-only agents, private landlords, private sellers and property developers. By using TheHouseShop.com, agents and homeowners can access a huge audience of buyers and renters looking for property in Thames-Ditton in Surrey and advertise their homes to tens of thousands of motivated home hunters on the UK's leading property marketplace. Our private users can boost exposure for their property adverts and generate more enquiries thanks to our effective marketing options. TheHouseShop have helped thousands of Thames-Ditton in Surrey's private landlords to find great tenants quickly with our free tenant-find service. With a huge selection of private and professional rental properties available on TheHouseShop marketplace, renters can find flats, detached houses, terraced houses, apartments, bungalows, maisonettes and more. 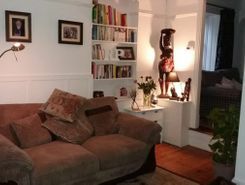 With a huge variety of affordable property to rent in some of Thames-Ditton in Surrey's most sought-after locations, TheHouseShop acts as a marketplace for renters where they can find rental homes that meet their budget and requirements. 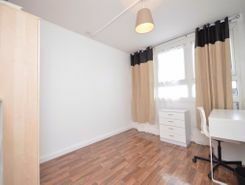 TheHouseShop.com showcases thousands of properties to rent including private landlords accepting DSS, 4 bed houses to rent, rental properties with pets, studio flats, 2 bed apartments and more in Thames-Ditton in Surrey and the surrounding areas.. Tenants will find a unique selection of property on TheHouseShop.com as many of our private landlords will not advertise their properties on other major property websites. Home hunters who rent property direct from a landlord can save on administration fees and get ahead in the competitive Thames-Ditton in Surrey rental market. 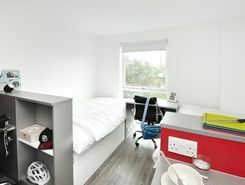 Tenants can find a variety of cheap rooms to rent in Thames-Ditton in Surrey in TheHouseShop's Flat Share section. 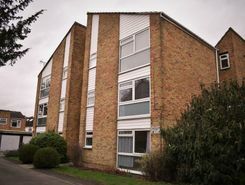 Flat Shares can be a cheaper alternative to renting an entire property and are a great option for tenants looking for cheap rentals in Thames-Ditton in Surrey's best areas. Securing a rental property in Thames-Ditton in Surrey can be difficult, but TheHouseShop can help tenants with our Guarantor Service providing a UK-based guarantor for any rental property in the UK. By using TheHouseShop's rental calculator tool, private landlords in Thames-Ditton in Surrey can ensure that they set the correct rent for their property. Landlords can access a range of essential landlord services on TheHouseShop marketplace including comprehensive tenant referencing checks, hassle-free rent collection, landlord insurance products and more. TheHouseShop.com tenant referencing service is a fast and effective way for landlords to screen tenants and perform rental credit checks, background checks, affordability calculations and more during the rental application process. Tenants can sign up for free property alerts and receive instant email updates anytime a new property to rent in Thames-Ditton in Surrey appears on TheHouseShop.com website. Property investors and private landlords can search thousands of cheap Buy To Let investment properties from house builders, estate agents and private sellers throughout Thames-Ditton in Surrey on TheHouseshop.com.